The chillwave genre can be hard to pin down these days, but merits discussion in this review, as Small Black is one of the genre’s most promising acts. Heavily layered synths, excessive reverb, fuzzy overdubbed vocals, and down- to mid-tempo beats are common traits of your average chillwave act. The brilliant thing about Small Black’s New Chain is the clear nod it gives to ’80s synthpop and dance music — a style which many artists have yet to pin down. Take a track like “Goons,” for example; while the tempo of the song is on the slower side, the bassline would fit in as an LCD Soundsystem or New Order track. This dance vibe is subtle and can serve to catch the listener unaware. Any shoegaze fan would love this record because of its smart use of looping; the dense layers found throughout build a unique sonic soundscape. The album’s opening track, “Camouflage,” features a wobbly prominent synthline reminiscent of anything off of Loveless (basically sounding like something you might hear as the soundtrack to an Orca whale’s dream). Even songs that don’t pop immediately sink into your subconscious and marinate, until you end up singing them inadvertently — which is rare for an album built on such thick ambient textures. New Chain fully fleshes out what was only hinted at on Small Black’s self-titled EP, which was self-released last year and has since been re-released on JagJaguwar. Where that EP felt lacking in fullness, New Chain picks up and corrects. A large part of this is due to the expansion of the lineup, from two to four members. Another notable improvement can be seen in the vocals and vocal melodies, which are now far more prominent and well-crafted. 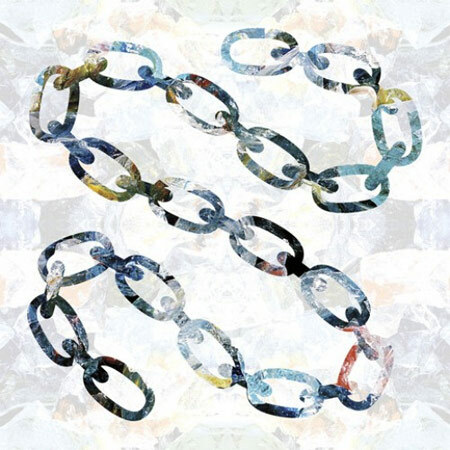 New Chain is a fantastic debut album and will be a tough one to follow up on. Let’s hope Small Black can live up to that challenge.